The Tully River is located about 140 kilometers south and a 2 hours drive from Cairns in Northern Queensland, Australia. It runs between Mount Mackay and Mount Tyson, in the center of one of Australia’s major cane growing regions and World Heritage rainforest. The Tully River is a Class IV river, with over 45 rapids that come in quick succession and demand a sense of adventure from its visitors. 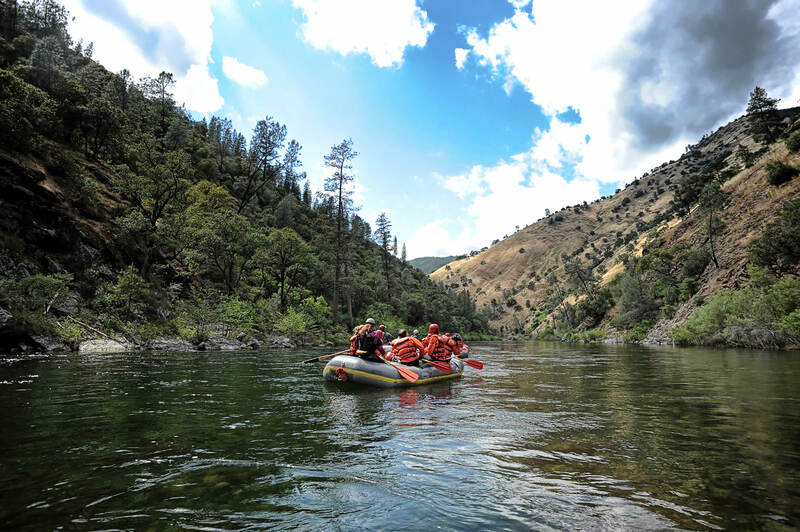 No prior experience is necessary, but paddlers should be ready for a more active and exhilarating day of rafting. No exception to Australia’s far northern rivers, the Tully also cuts a path through World Heritage-listed ancient rainforest. It flows through steep-walled gorges of basaltic rock past some of the oldest trees still alive on the planet. Lucky visitors will catch sightings of water dragons and exotic birdlife. Abundant waterfalls cascade over the canyon walls, and lunch is enjoyed across the river from one called “Ponytail Falls”. Five hours of rafting adventure include rapids such as “Alarm Clock”, “Staircase Rapid” (aptly-named), “Corkscrew”, and “Double Waterfall”. Because of Australia’s moderate climate and the fact that the Tully River has several dams, rafting trips are available all year long! For a better visual of the canyon and two of the river’s rapids, take a look at this video from someone who did a commercial rafting trip on the Tully a few years ago.